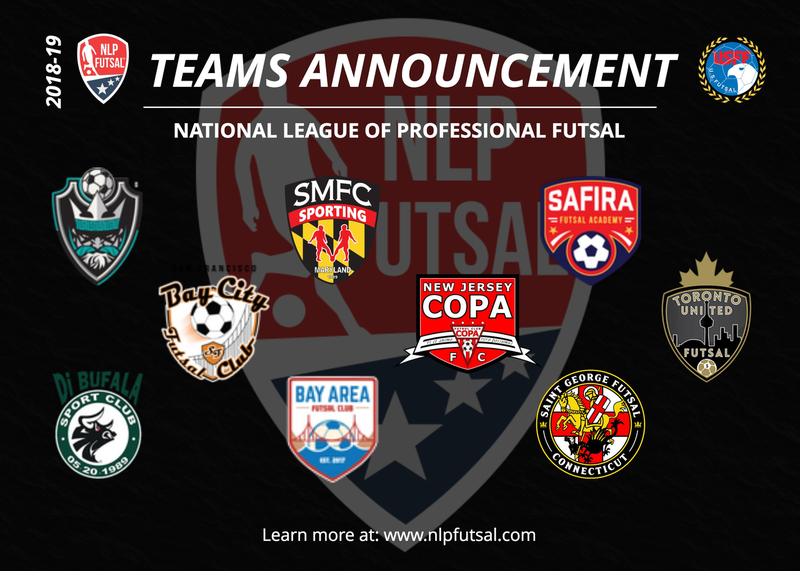 November 9, 2018 - Washington, DC | The National League of Professional Futsal (NLPF) is excited to announce the teams that have qualified for the upcoming 2018-19 season. The NLPF will continue to showcase the highest level of Futsal across North America featuring 9 top tier franchises committed to the growth of the sport, giving back to local communities, and creating a pathway for talent. The NLPF season will feature reigning NLPF Champion - San Jose Legends, Sporting Maryland Futsal Club (NLPF Finalists), New Jersey Copa Futsal Club, Safira Futsal Club, Saint George Futsal, Toronto United Futsal Club, Di Bufala Futsal Club, Bay Area Futsal Club, and San Francisco Bay City Futsal Club. Stay tuned in the coming weeks for the release of the 2018-19 NLPF season schedule.